Well today went really good. 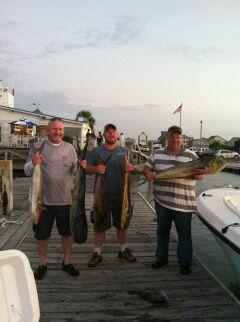 We caught lots of Amberjacks and boated 3 nice Mahi. Fishing is wide open, come on down and get in on some of the action. « 5-1-12 Half Day Offshore Trip Produces Trigger Fish!!!!!!!! !